A savvy couple have created a new cafe in Elsternwick, giving busy Glenhuntly Road a new place with a seasonal, fresh menu, good coffee and antique Egyptian tiles. 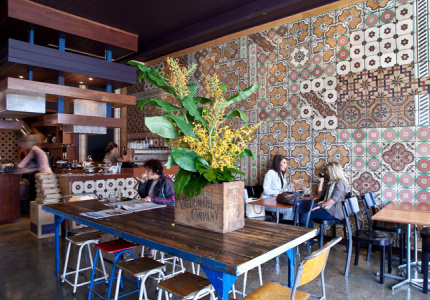 The name is not connected to anything except the stunning montage of antique tiles from Egypt on one wall. 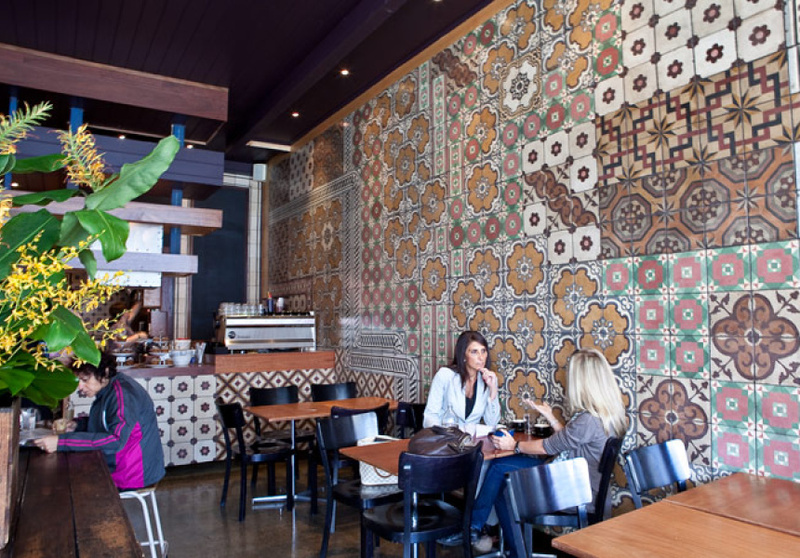 Owners Salah Maklad and Roz Laurence went to the task of having the large tiles brought back from Cairo when Maklad found them and decided they would work in the new business they were planning. On the back of each tile is the name of the place they were made and one of the tiles carries the name Ernest Vignol – a name that appealed to the partners for its sound and lack of connection to anything but the tile on the wall. 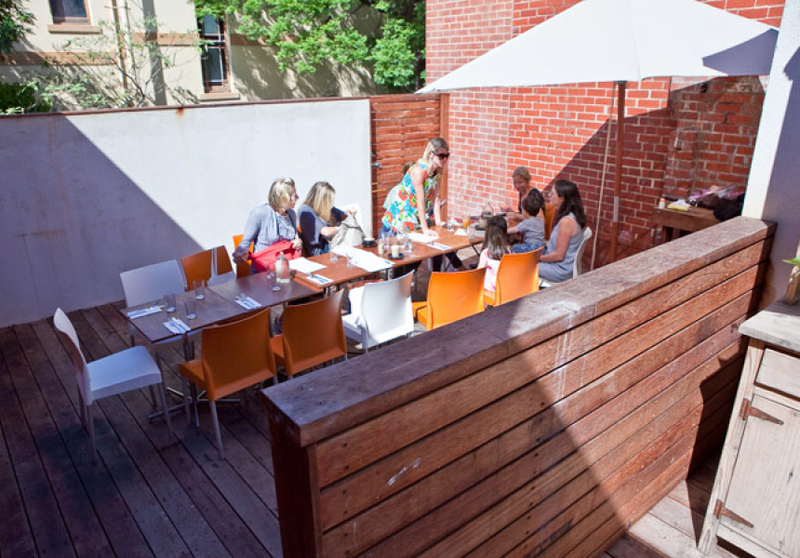 Maklad has more than 20 years hospitality experience both here and abroad, while Laurence has brought her retail background to the partnership and together they’ve created a pared-back space of simple wooden finishes and a courtyard out the back. The desire to put their own stamp on something and do their own thing has also seen the development of an interesting menu with emphasis on seasonal produce, treated respectfully. Chef Hayley Crompton is making everything from scratch – from jams and chutneys to the muffins and cakes – and creating simple, smart breakfast and lunch dishes. With a liquor license on the way and plans to open a handful of nights a week, it may be worth keeping an earnest eye on Ernest V.